Back to school shopping is really exciting for kids. With new school bag, lunch box, shoes and all supplies, they get excited to go to school. It is same with my kid too. After every school holidays, he eagerly waits to see his teacher and friends. And he loves everything new. But, as parents, we need to plan back to school shopping properly to avoid missing any item. At the same time, it is also important to avoid unnecessary things that are really not important for the new school term. Below are some of the back to school shopping tips which I follow and which can be helpful for you too. These tips will save you both time and money. When you plan properly, back to school shopping will be really a fun experience! Most of the time, teacher provides a list of back to school supplies .However, don’t forget the other essentials such as school bag, shoes ,lunch box and water bottle. When you have a shopping list which include all these back to school supplies, it is easy to shop the things from the list. It is easy to find a back to school supplies list from www.myschoolsupplylists.com as they have separate lists from kindergarten to 12th grade. For my kindergartner, I found their back to school supplies list as helpful because it includes everything from the school bag. You will never miss any item! During the back to school time, there will be many promotions and cheap sales. However, instead of only looking for saving money by buying cheap supplies, check the quality too. If the pencils you buy are not easy to sharpen or the pens you buy at cheap price are leaky, then such things will cost you more. You will need to buy these supplies again. But, you can look for offers and sales of reputed quality school supplies brands and shop from them for a discounted rate. It will be a good investment for the whole new school term. As I mentioned above, quality matters. However, during the back to school period, you can find many offers and promotions. You can get a lot of quality supplies while saving money using Kohls coupon. When you buy school supplies using such offers, you can easily save money. If you have more than one kids, this will be great to save from each kid’s supplies list. You need some School supplies such as pencils, pens and notebooks more than one. When you buy these supplies in bulk, you will save money and you will also have a stock at home to use when need. Set up a separate storage in your home for extra school supplies and you can keep the items for a period. Above are some the great tips that I use for my kid’s back to school supplies shopping. If you know more tips, please share as a comment. 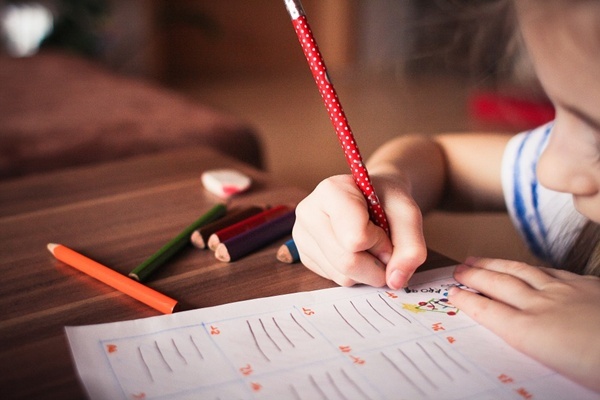 Starting school is one of the most important steps for any child, but the good thing is that there are things you can do to ensure they are a little more comfortable as they start the new journey in life. With new baseline assessments in primary schools by 2022 -2023 according to Tradewind, as well as all the old variables, there is a lot to prep for. With September fast approaching, we have made a list of tips that will go a long way in helping your kid on his/her first day at school as they get to know the new routine. Get organized: Ensure that you have everything needed in time for your first day. You should also make an effort on including them in the decision-making process – even if it is just choosing a backpack – so they can get excited about school. Show them where the label is on the clothes so they can see it for themselves. Talk about the things they can expect: You should try explaining the school rules to them, routines, and schedules so they can have a rough idea of what to expect. Give them assurance that the teacher is there to help them, and the end of the day you will be there to talk to them. You can even share a little experience of your own at school. Become familiar with the school : Take them for a walk around the school so they get to see it when it is empty with no people around. Let them see the playground, gates, and where they are going to be on the first day. Proper preparation: Make sure everything is ready the day before because this will give you enough time the next day to enjoy instead of having to rush to get out of the door. Take that time to take a photo so they can have a memory of their first day. Having the memory of their photos will also be great for you because you can always go back and see how your kid was on their first day of school. Keeping memories through photos is great. Dealing with separation anxiety: You should give the young one assurance that you will be there to pick them in a couple of hours and hear how their day went, and also they should know that teachers are there to help if they need it. Talk to the teacher if you have concerns about the kid settling in or you know of a problem at home that can have an effect on their behavior. Teachers are professionals who have the necessary skills needed to deal with all type of children starting out in school. They will call you in case of any problem. This means you can relax and enjoy your day without having to worry. Home time: Ensure you aren’t late when picking the kids up. You should not make the child anxious because you have not yet arrived, and they will also be very happy to tell you how their day was. Create some time to talk with them more about their day at school. Ensure they have plenty of rest: School is a big step for them and changes the routine of the child. Make sure you are strict with betimes because you don’t want them to be tired and feeling grumpy the next day when in class. Stay organized: The first couple of weeks can be hectic, so you should try your best to prepare everything you can the day before, especially at night. Kids do not have the sense of urgency as adults, making it even more important to get them up in time and prepare them without having to rush or panic around the house. Things will be smoother this way. Living in Singapore, Johor Bahru is our favorite place for short getaways and shopping trips whenever there is a holiday. We don’t need a reason to visit Johor Bahru. ( or JB as most call this city of Malaysia)After our recent long holiday in Sri Lanka, year-end weekend was the perfect time to visit JB again. Reason? No perfect reason at all! We wanted to spend family time, entertain the kid, and most importantly we wanted to buy school stuff for the kid. I still remember the back to school days during my school time, the best part of the new school term is that we get new shoes, new bags and books if need. So, following the same, it is time to buy new items for the kid. 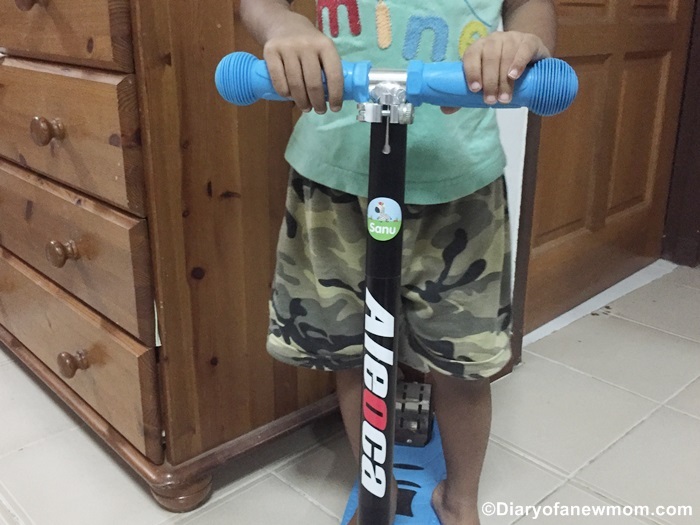 He will be in Kindergarten this year (K1).After around 2 months holiday in Sri Lanka, we wanted to give him some excitement which can make him eager to go to school on the first day of the new school term. Which kid doesn’t love such school supplies themed with Sesame Street Characters! Johor Bahru is with large city malls namely City Square, Komtar JBCC and many other. As it was the holiday season, both malls were decorated nicely to give us a festive mood. At City Square mall, there were lots of photo opportunities with popular Sesame Street Characters. Other than that, Sesame street themed school supplies were on sale. Our kid was so happy to have his new water bottle, file case, snack box and some other items with his favourite Sesame Street characters! In Komtar JBCC, kid enjoyed playing on kiddy rides and games. After spending a day at Johor Bahru among activities including shopping,playing and dining,kid wanted to come back to Singapore soon to play with his latest name labels.Those name labels were perfect on his new school supplies. It was awesome to spend the year end at Johor Bahru. How about you? How do you prepare your kids for the new school term? It is time to prepare for back to school. My kid is counting days to see his friends and preschool teacher. Next year will be a new school year and my kid will be in Kindergarten. (K1)How exciting to see him growing each year! Among all excitement of new school term, the exciting part for the kid is his new school books, bags, stationary and other stuff that he needs for the school. While I am preparing him for the new school term including his bed time routine, I also in a process of setting up a new place for his school stuff. A new organized place will give him more positive thoughts to start the school term with excitement! And at the right time we received these back to school name labels from Bright Star Kids! My kid loves all his Back to School Name Labels from Bright Star Kids and I am so happy to receive those as it is really easier to label the kid’s stuff for his new school term. What is the most exciting part? These name labels are easy to use and kid can label his stuff on his own without my help. So, here is what we are doing with the new name labels. 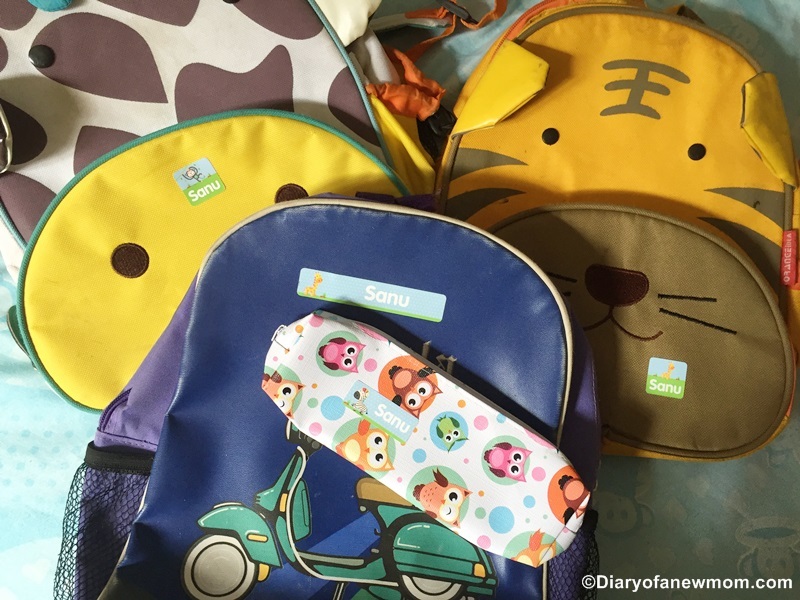 Why we love these Back to School Name Labels from Bright Star Kids? Bright Star Kids Name Labels are cute,bright and colourful! These name labels are super cute with animal characters which my kid loves. Colourful and attractive for the kid. Other than the appearance of the name labels, we also love the quality. These are easy to peel and stick on any surface. Other features of the name labels such as dishwasher safe, microwave safe and freezer safe are really helpful as we use the labels on his meal boxes too. With a collection of designs available including round labels, it is easy to use the labels on different stuff choosing the right name label for that. 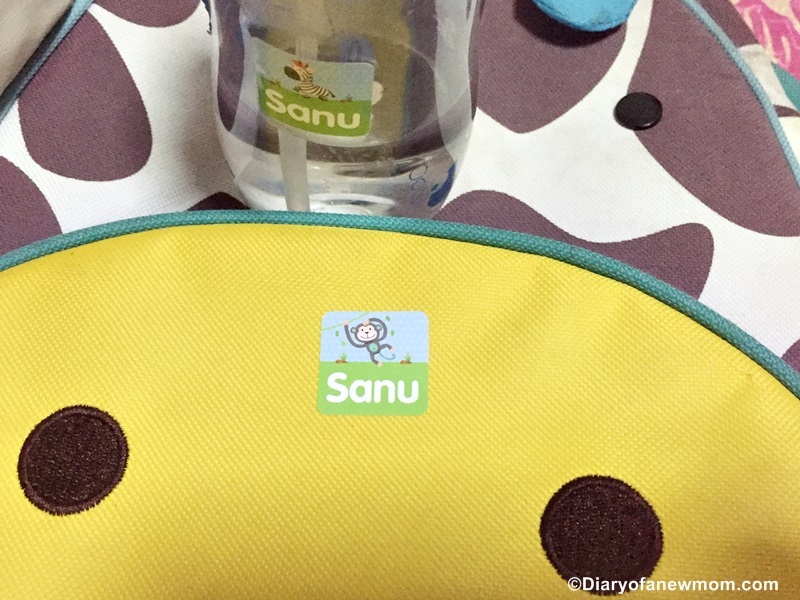 Round name labels are great for his water bottle, meal box and even for the shoes. For the preschool year, I used another set of name labels from Bright Star kids and that saved me more time in the morning when the kid had to bring new stuff for his preschool. As I had the set of labels personalized for his name, it was really easier to name any stuff without struggling. Still these labels are in good quality on my kid’s stuff assuring me the quality of the name labels. 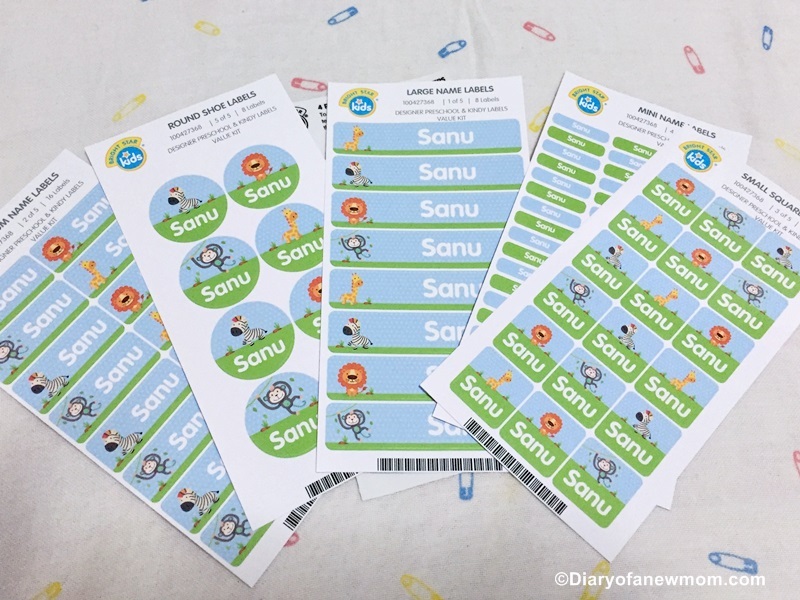 How to order your set of name labels from Bright Star Kids? 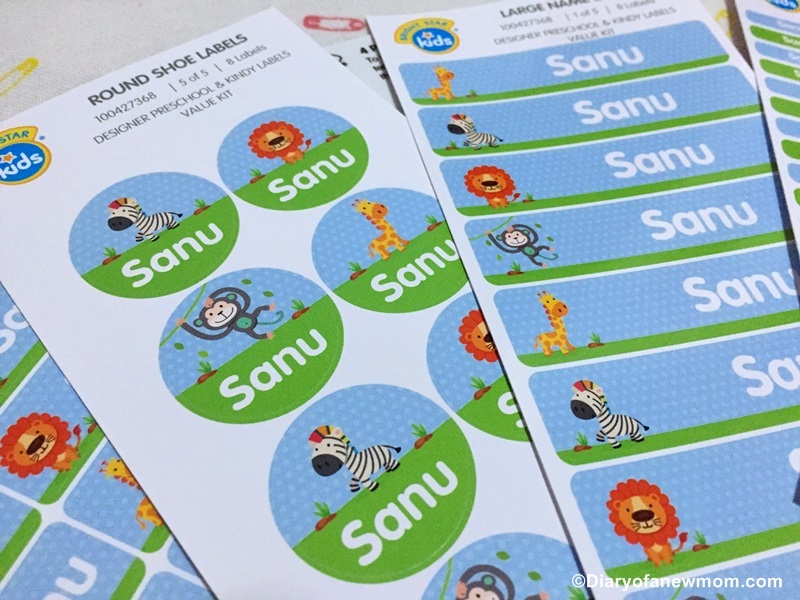 Although we selected Animal characters for our name labels, you can easily select any design that your kids will love. Visit www.brightstarkids.sg to select your design and to place the order. Other than the Back to School name labels, you will also find a variety of products including school supplies. You can save more from your orders by simply using the below coupon code for Bright Star Kids name labels. How about you?Are you getting ready to new school term? Disclosure: We received the above products free in order to facilitate this review.However all opinions are mine. Check our Back to School shopping experience in Johor Bahru.